Can one remove a courthouse without suffering unhappiness? In Civ 5 the courthouse is needed to quell unhappiness once a city has been captured. Can one ever remove the courthouse, and thus it's maintenance, without returning to a state of unrest? Is there a point in time where the citizens become fully assimilated and indistinguishable from your own population? Does destroying the original faction of the city have any impact on the courthouse and unrest? To your three questions: no, no, and probably. In Civ 5 the courthouse is indeed the only way to remove the unhappiness caused by occupation. I wanted to check for myself if a city always stays "occupied" even after 100 turns or more, so I conducted some Lazy Science™! First, I took my Babylonian empire, which had overrun Sydney around 100 turns ago (rough estimate, go Lazy Science!). And here is my city after, notice that it is again marked as occupied, and that my Civ's happiness has decreased substantially. 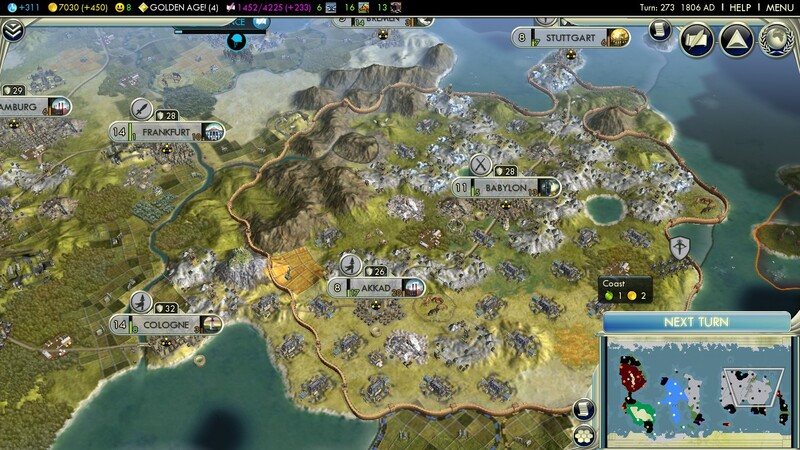 I also took a German civ at turn 273, which had done away with the wretched Babylonians over 150 turns ago. I then took both Akkad and Babylon, and sold their courthouses. 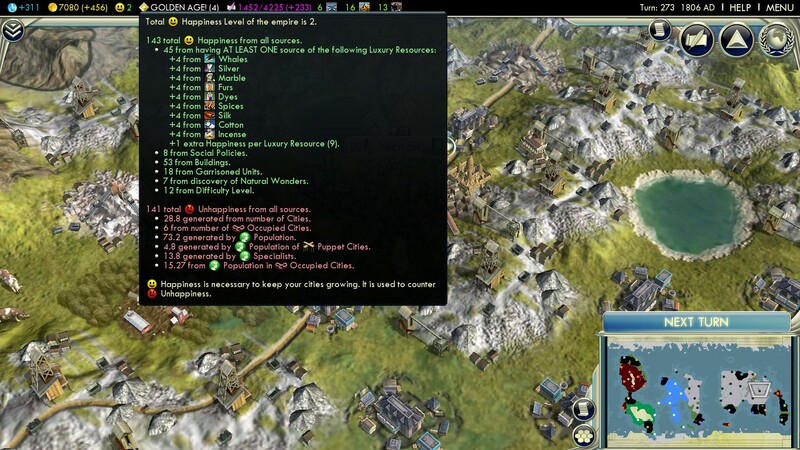 You can see here that my Civ's happiness went from 8 to 2, and that both cites reverted to an occupied state. No, you shouldn't really get rid of courthouses. No, occupied cites never really forget your transgressions against them. Your third question, "Does destroying another Civ have an impact on their captured city" is a bit out of the scope of my answer (that and it would require more Lazy Science than I'd want to do right now). 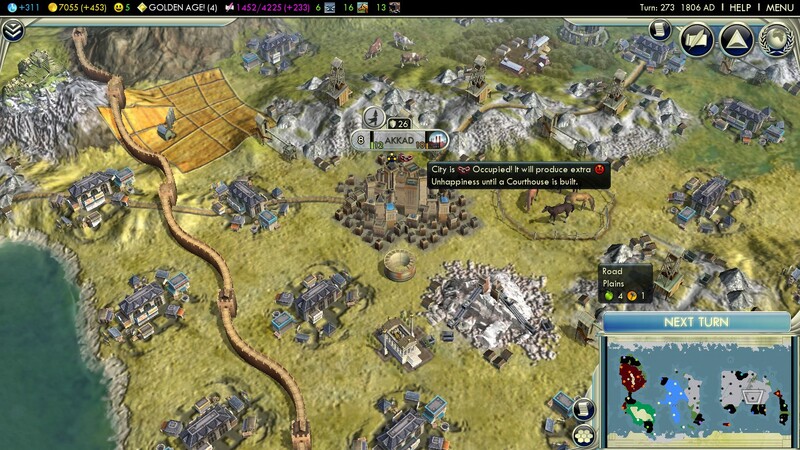 From my poor and easily forgotten experience, I recall that destroying a Civ will make both their captured cites and other Civs a little bit more miffed with you. I don't know if a city being puppeted would affect this. If you want a more in-depth answer, you could try asking this as a separate question. You cannot destroy (former) capitals, unfortunately. Also, quick look around the internet seems to indicate that the unhappiness from annexing a city never disappears and as such, you will always need the courthouse. How can I keep a city-state allied with me without bankrupting myself? How do I build a courthouse in a captured city? How can I go to war without getting everyone else displeased in Civilization V? Is a courthouse mandatory to quell occupational unhappiness? 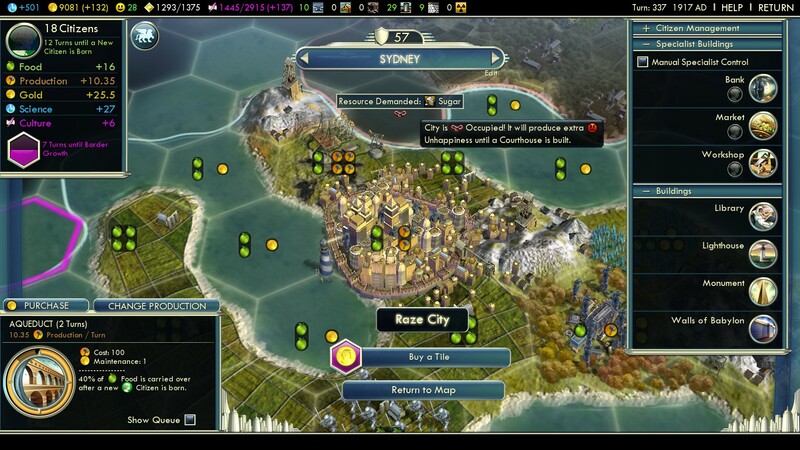 If one player doesn't own a DLC-civilization, can the others still use it in multiplayer? 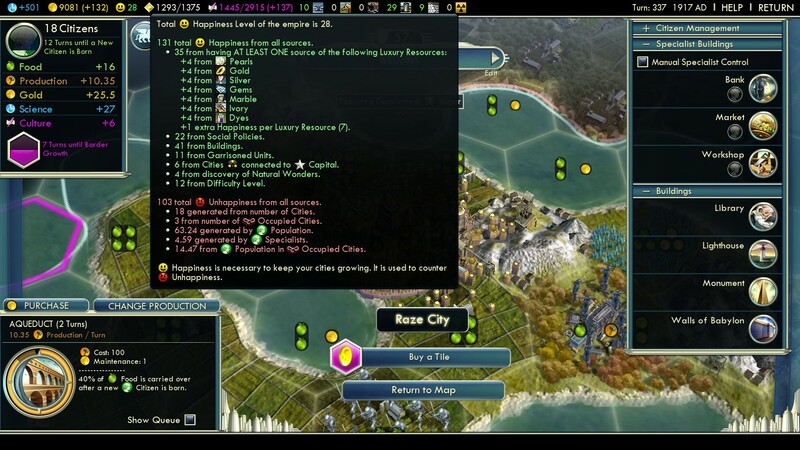 How can I remove unwanted civilizations in civ5? Can I own land without having a city nearby?